A water heater that is routinely maintained once a year and receives prompt repairs can last a long time. In fact, you’ve probably had the same water heater working for you since you moved into your current home, right? Well, while this longevity is impressive, all good things must eventually come to an end. Eventually, you’ll need to replace the water heater at some point in the future, when it no longer can do the job it’s supposed to. You may think you can get by with just a repair, but at some point not even that will help and you’ll be forced to upgrade your water heater. We wish this was an April Fool’s Day joke, but the fact is, it’s true. Using store-bought drain cleaners will slowly but surely ruin your plumbing. We get it, when you go to the store in search of an affordable solution for your clogged drains, it’s easy to grab a jug of chemical liquid drain cleaner and call it a day. After all, these are targeted to homeowners and renters looking to quickly clear up their drains that have slowed or stopped. This is particularly true in bathrooms, where drains are often clogged up with hair. Any professional plumber, however, will advise you against this. Keep reading to learn more about these drain cleaning “solutions” and why they aren’t solutions at all. You know what would be great? If all the appliances and equipment we use in our homes to maintain and improve comfort lasted forever, with no need for repair or replacement. Unfortunately, this is just not the case, and your water heater definitely isn’t an exception to the rule. This system goes through a lot of wear and tear, especially when you consider just how much use it gets each and every day to help you clean, bathe, wash clothes and dishes, and more. You need your water heater to work flawlessly every day, all year long. This is why it’s important to keep up on maintenance and repairs. But when are repairs just not enough anymore? At what point to do you admit you need a new water heater? We could tell you “when it has reached 20 years old” and leave it at that. But this will really depend on how well cared for your water heater is, as well as what the manufacturer’s expected lifespan is for the system. 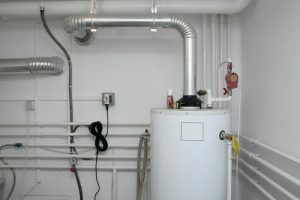 Read on to learn some signs that it is, in fact, time to replace your tank water heater. Is It Time to Schedule a Drain Cleaning? 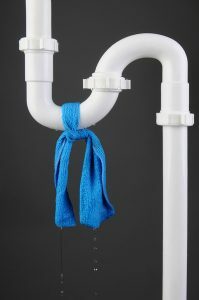 The drain and sewer system connected to your home is one of the most important components of your plumbing system. 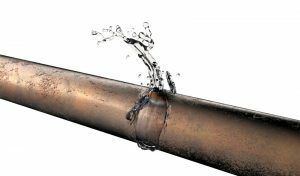 If the drain system isn’t maintained as it should be, it can cause serious problems for the entire plumbing system. Fortunately, it’s actually pretty easy to keep your drain system in good shape. All it takes is scheduling drain cleaning service on a routine basis—once a year—as a part of your overall plumbing maintenance. 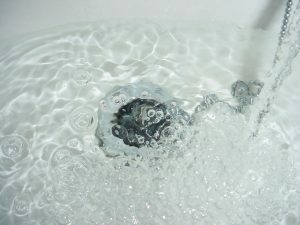 Still though, it may end up that you need drain cleaning between maintenance appointments, and therefore it’s important to know the signs you should watch for if this is the case. Posted in Plumbing | Comments Off on Is It Time to Schedule a Drain Cleaning? The number one way to keep your plumbing system healthy is by hiring professionals to work on your plumbing system. The standard of which professional plumbers work is in place to ensure that homeowners are left with systems that work as efficiently and effectively as they should for as long as they should. So, if you do find yourself in need of plumbing repairs or want to look into a new plumbing installation, be sure to call on our pros! A licensed professional plumbing company will know how to do any job with utmost safety. Plus, we are licensed for plumbing work in our area. Keep reading for more benefits of professional plumbing services. If you’re like most homeowners, you probably don’t think very much about how hard your water heater works for you on a regular basis. But, you should. Your home’s water heater is probably the hardest working system in your entire living space. Most water heaters don’t even ever fully turn off—rather, they operate day and night to provide a standing supply of hot water for whenever you need it. At least, this is the case if you have a storage tank water heater. Generating all of this hot water understandably puts a lot of wear and tear on the system over the years. Therefore, it’s essential that you take steps to help it last as long as it can. In order to get the best return on investment from your home’s water heater, we encourage you to follow the tips below. And remember, even if you have a tankless water heater, it also needs regular care. With More Winter Storms Ahead, is Your Plumbing Protected? Did you know that it only takes a few hours for a pipe to freeze? Most homeowners don’t realize that, and with plenty of cold weather still ahead for us (especially at night), this isn’t something you should just brush off. First, it’s important to know how to prevent such an incident from happening. However, if you’ve found yourself already facing this winter plumbing problem and it hasn’t let to a plumbing emergency yet, we still urge you to act quickly and contact a professional plumber in St. Charles, MO, so that it doesn’t turn into an emergency! 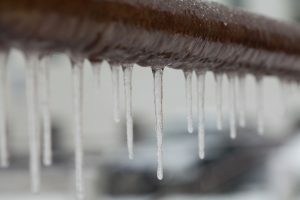 Posted in Plumbing | Comments Off on With More Winter Storms Ahead, is Your Plumbing Protected? Nobody wants to deal with a plumbing problem. But, they’re sometimes inevitable, and what makes them an even bigger problem is they are often hard to detect without professional equipment, and experience. Most of your plumbing system is hidden from view, after all. The problems that typically affect this system are subtle to start, which is part of the reason why we recommend scheduling preventive maintenance at least once a year. However, you should also familiarize yourself with some of the warning signs that your plumbing system is, in fact, experiencing some sort of problem. 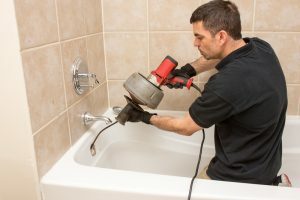 This way, on the rare chance that an issue occurs between your plumbing maintenance appointments, you can detect it fairly quickly and contact us right away for repairs. We get it—if you can avoid calling for emergency plumbing services, you will. Our professional plumbers in Kirkwood, MO are ready for anything of course, since we understand that plumbing problems don’t tend to obey schedules or calendars, nor do they care that you are sleeping or were just about to leave the house on vacation or to go to work. When you need a burst pipe or gushing broken faucet fixed, we’ll be there. But, let’s talk prevention! Again, you don’t want to be in a situation where you’re calling up a 24-hour service plumber. We’re sure you’d also enjoy having peace of mind about plumbing problems when you can’t call for a plumber because you don’t even know there’s a problem (i.e. you’re away from home when a fixture breaks, spreading water throughout your home). In a case like this, there’s one very important component that will save you from property damage and unnecessary associated costs—the automatic shutoff valve. Throughout the years, there have been many different materials put to use for constructing plumbing pipes. During much of the 20th century, for instance, metals such as galvanized steel (this is steel coated pipes coated with zinc to prevent corrosion) and cast iron were most commonly used in residential settings. Cast iron was rather quickly found to be ineffective at preventing corrosion, while galvanized steel was replaced around the 1970’s in favor of a more lightweight option—copper. 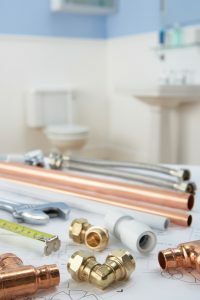 In addition to being lightweight, copper has better corrosion resistance, as does the other two modern types of plumbing pipes you may see: PVC and PEX piping. Homes today tend to use either one of these plastic pipes or copper exclusively throughout the property. However, if your home is one of the many in our area built prior to the 1980’s, then it may have piping, fixtures, or even elbows and joints made of the outdated material. And if this is the case, by nature there is a very good chance you need repiping. This is a service provided by our professional plumbers in O’Fallon, MO, and could do your home a world of good. But, how much repiping do you need?